As sweet as cinnamon: Frosty Flakes PARADE. amazing and I am so glad she liked them. Doris in Germany made this one above... Love the red and green. 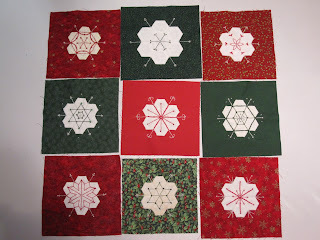 And here's what Cyndi has made from my patterns and some..
added a bit of her own creative licence and Wow..
free designs to download for Christmas and lots of inspiration. They look fabulous have a visit HERE. 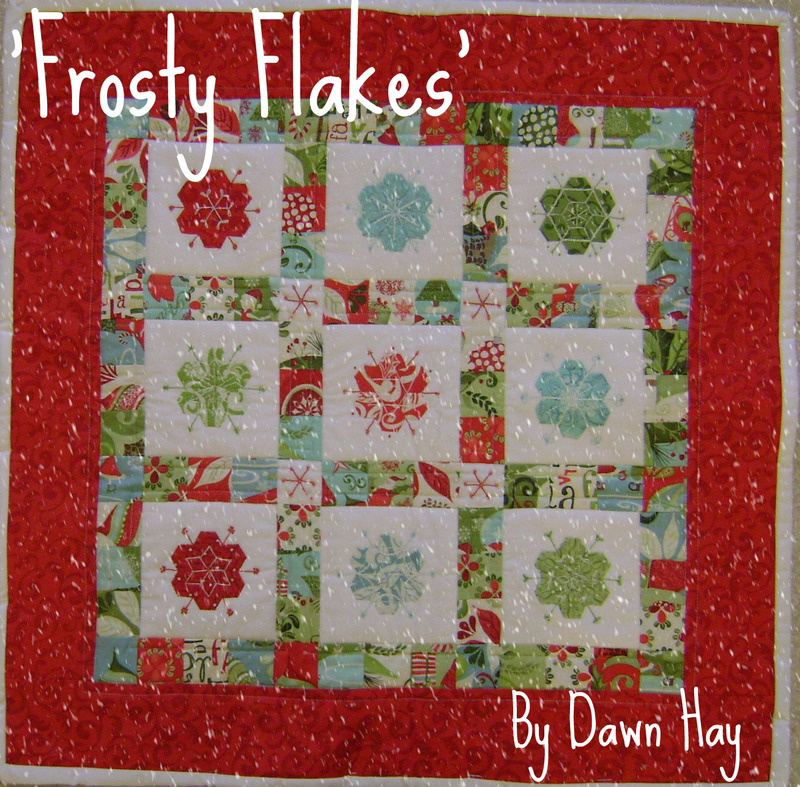 Frosty Flakes completed so far. How is yours coming along??? You can still download it above if you want to make it. 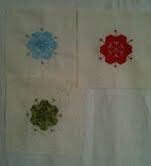 Love them all--but the blue one is my favorite for some reason!!! 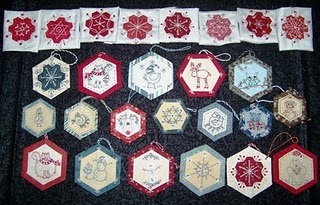 I have all the patterns and the hexie ones--and one of these years I will do them!!! 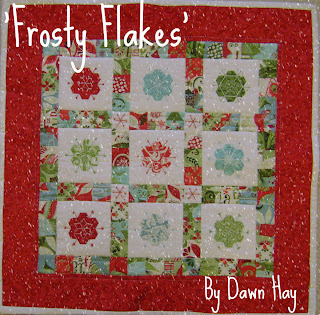 All the ladies have made lovely Frosty Flakes projects. Will pop over to flickr for a look. They all look lovely Dawn ... thankyou for sharing this sweet BOM. I could do with a snowflake or two at the moment it's sooo hot here. Oh they are all so gorgeous - I love them in blue best, I think, but they're all wonderful!!!!! Tanks Dawn. He disfrutado mucho haciendolo. Kisses. Mine is almost done. I will send a picture as soon as I finish it. 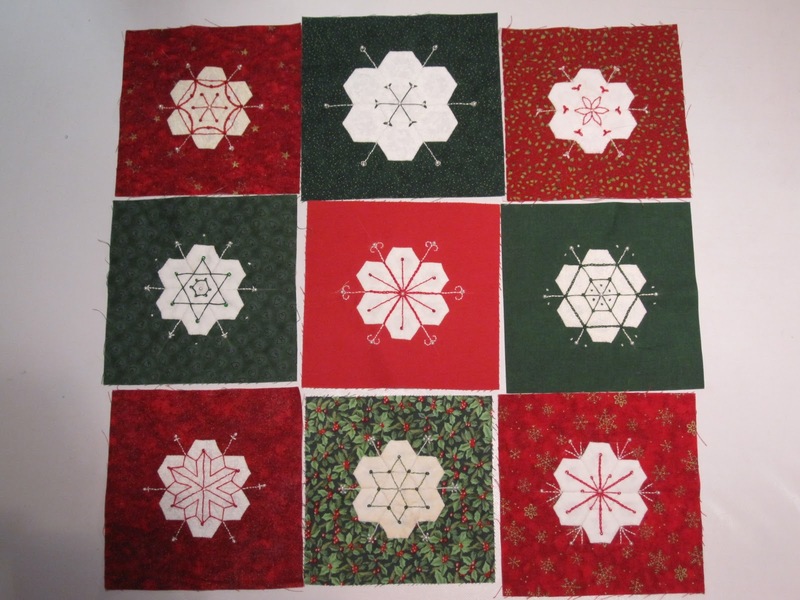 I haven't finished mine yet but even if xmas is over I'll still get it finished...I'll be ahead for net xmas then.